Metabolic profiling is a key approach in current basic and applied research in biology. Comparative analysis of different metabolite extraction methods for pea (P. sativum) and black medick (M. lupulina) made it possible to find the optimal conditions for metabolite extraction and subsequent detection by gas chromatography coupled with mass spectrometry. The optimized method was shown to be reliable for assessment of the organ and species metabolic profiles for roots and leaves in pea and black medick plants. Original Russian Text © R.K. Puzanskiy, V.V. Yemelyanov, M.S. Kliukova, A.L. Shavarda, O.Yu. Shtark, A.P. Yurkov, M.F. 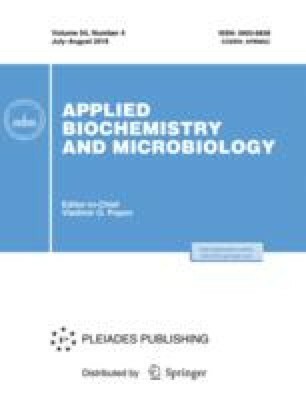 Shishova, 2018, published in Prikladnaya Biokhimiya i Mikrobiologiya, 2018, Vol. 54, No. 4.